This is how my morning is going today!! I don’t even want to talk about how disturbing this sight is!! why why must you do this to my floor EVERY day?! 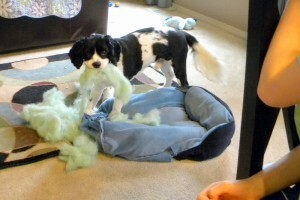 seriously having Merlin is like having a destructive toddler! to get my broken camera and try to photograph them! 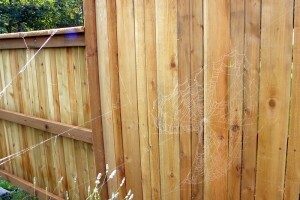 I hate spiders… but I love seeing their webs! 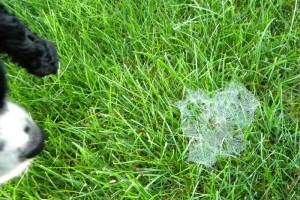 I think we have about 20 webs around our small property this dewy morning! Seriously ~ what on earth?!! he does this to my house EVERY DAY!!! WILL I EVER get a GRIP on this??! I can’t crate him ALL day!!! I am LOOSING my patience! 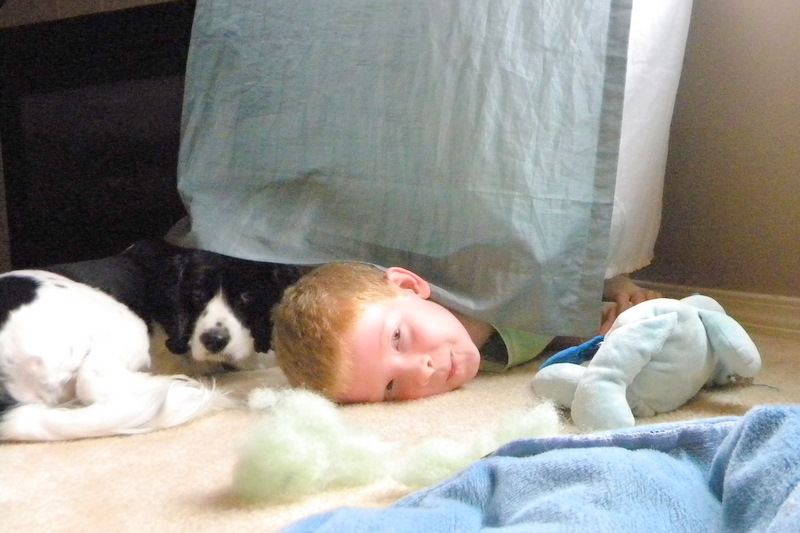 CAn you see the little human foot under there? under the curtain!! too funny! hopefully to a calmer dog?!! I think I will walk him while Sammy is in his HOUR long class!!?!! Seriously … do you think I can wear out this monster of mine in ONE hour? I’ll be back in a couple hours! The webs are amazing! 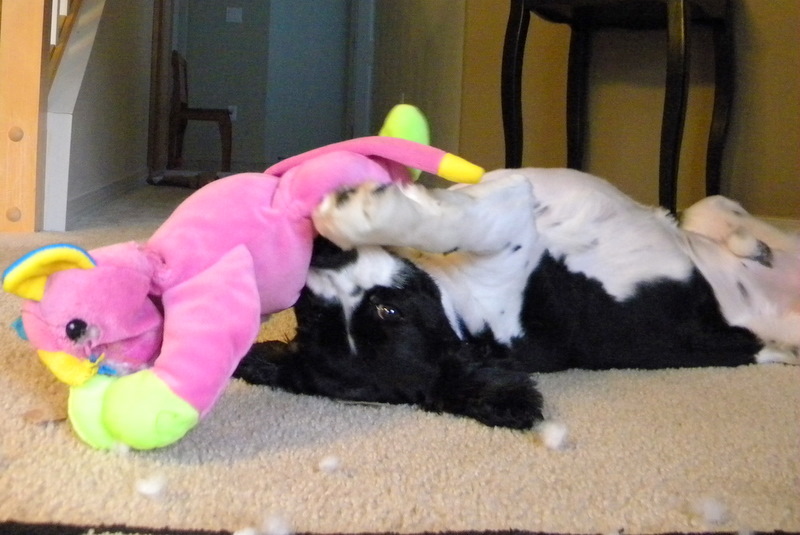 The dog is a nut. 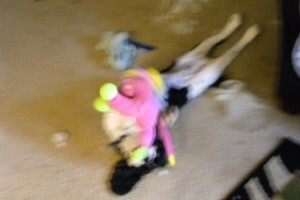 Your first foto is totally Wordless Wednesday! At least he’s cute while doing it! I agree with Julie….dog whisperer! 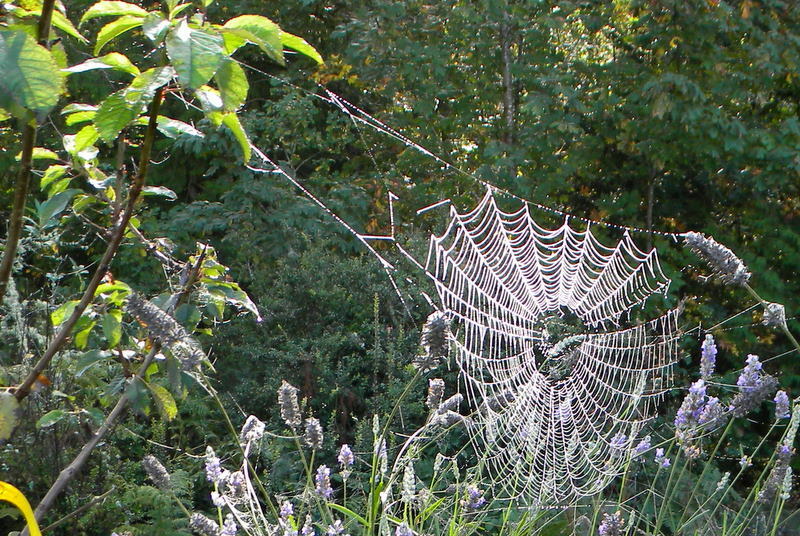 Great photos of the webs. 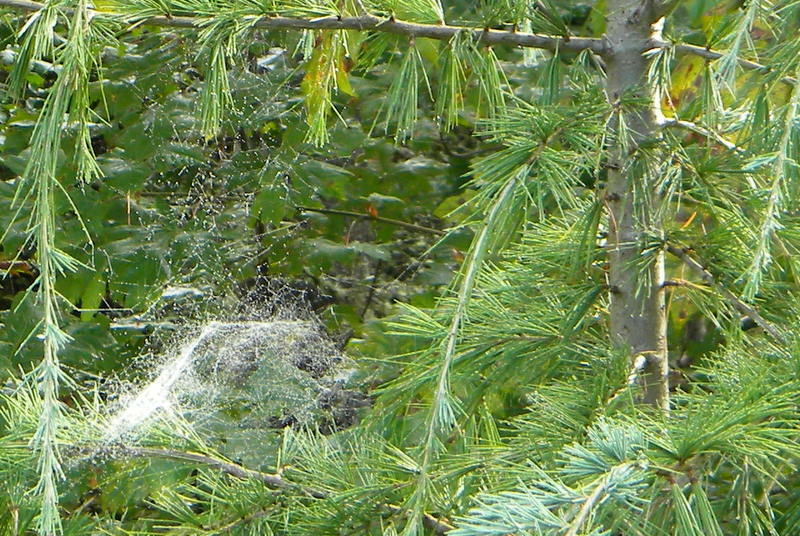 I agree, the webs are so pretty, but the things that make them….YUCK! 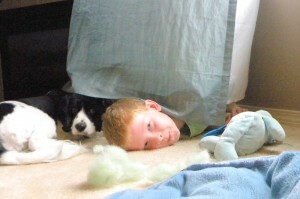 Boy oh boy, I sure hope he was tired out for the rest of the day…..
He’s so cute. How can you get mad at that face.. LOL. Seriously.. 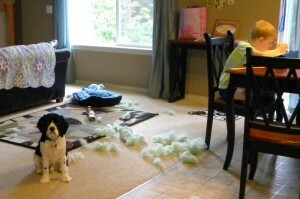 I remember puppy hood.. good luck with this.. Sounds like he needs a job to do.. don’t know what though..send those kids out to exercise him like crazy..
Let’s hope while you’re out running the dog, you’re not *gulp* building up his endurance! 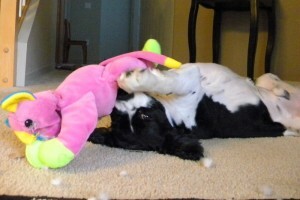 My girls LOVED this newest Merlin update, of course! This was so funny! 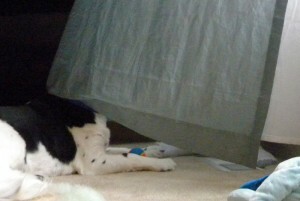 What kind of Dog is Merlin? Obviously still a puppy? You have more patience than I do, you at least were able to laugh this off and blog about it! So nice to unofficially meet you too Jenn!!! I think you need more puppy play dates…or puppy day care! We send Clyde for 5 hours a day and he comes home exhausted! He is too tired to do anything bad. 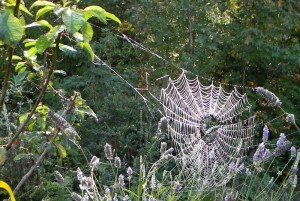 Oh my stars, that is an amazing shot of the spider web! Incredible! 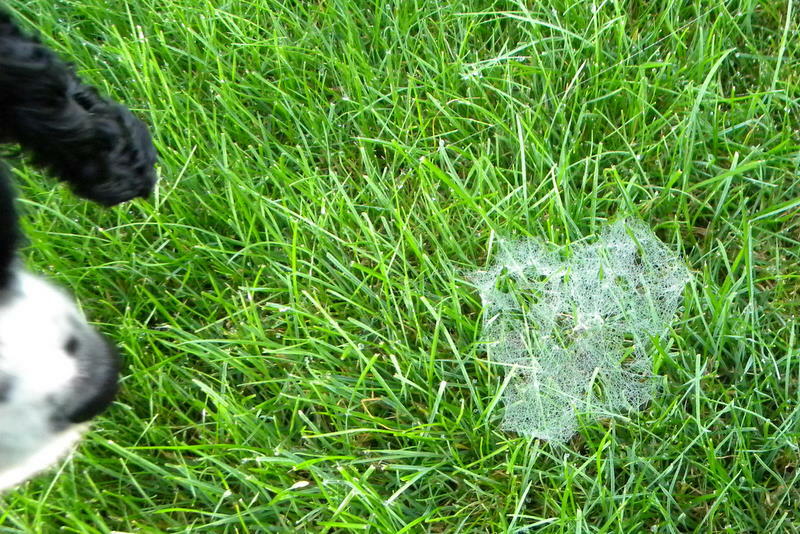 i know it’s not funny, but your pup cracks me up… and is such a cutie. hmmm… what would cesar millan say?? I’m tired after reading about your morning. What an energetic dog! 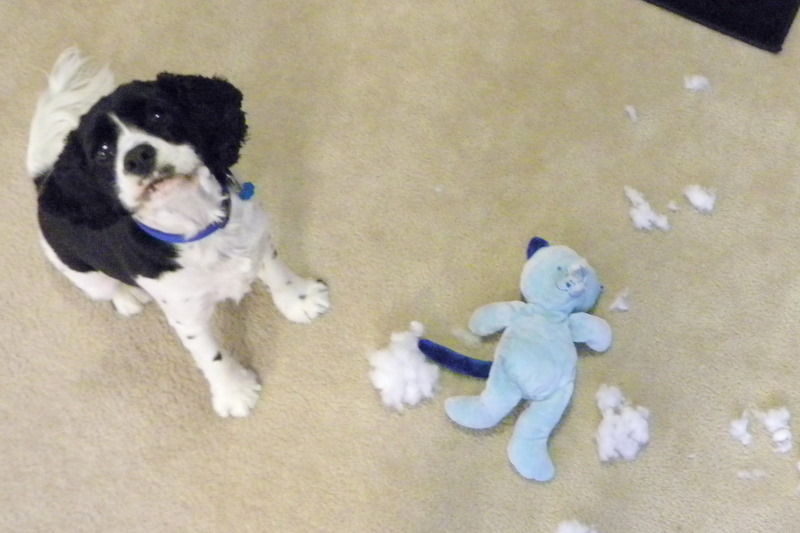 I remember my pup eating all my stuffed animals. Hopefully it’s just a stage and he’ll grow out of it. I had a dog very similar to yours growing up…and she was just like this. A complete mess at our house and our neighborhood. She would drag garbage across everyone’s lawn. Thankfully, they grow out of it and become incredibly sweet and loyal pets. 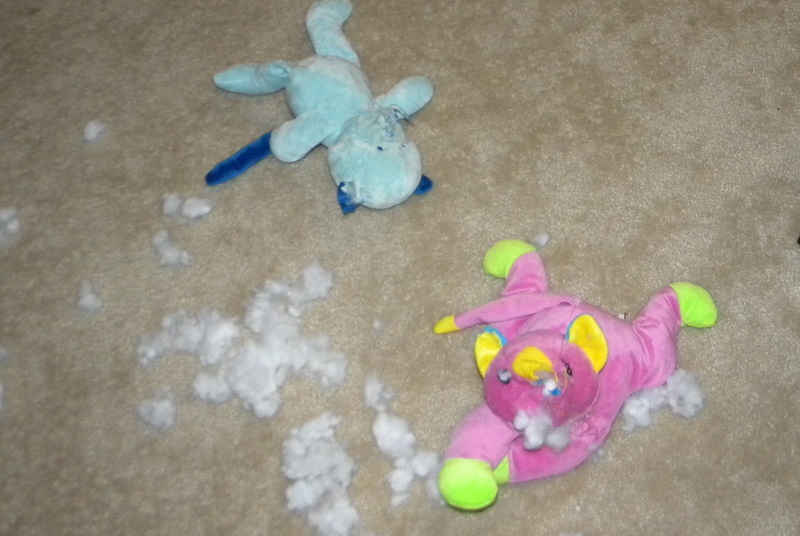 It is just so shocking the amount of devastation your pup can bring to a stuffed friend! Hilarious though! I really don’t know how you keep up with him. You must be exhausted. 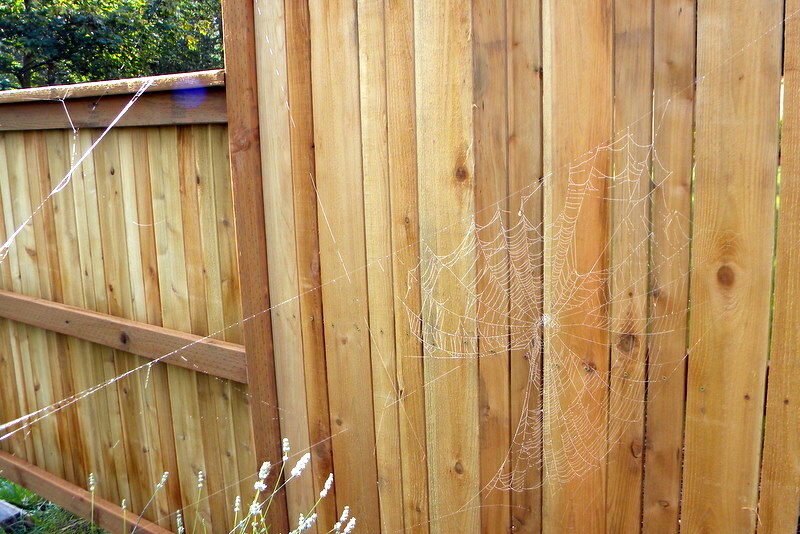 Love the pretty webs.